I am now temporarily living in an apartment complex in Playa Granada, Motril which is around half an hour’s drive from Granada. The beach here isn’t anything overly special but hey, I’m not complaining – bring on spending my summer reading, relaxing and sipping on cocktails at one of the numerous beach bars here. The next few posts are going to be all about the place I have spent the last 4 months living, the wonderful city of Granada! With a population of around 250,000 (give or take as it is a student city with a large number of students coming and going – I’ll touch on that more later), Granada is big enough to be exciting and bustling, yet small enough to not feel totally lost and irrelevant. The view of the Alhambra and out over Granada from Mirador de San Nicolás at sunset. Granada is by far most famous for it’s huge Islamic style castle, the Alhambra, so it’s only logical to start there. It was originally constructed as a small fortress in 889, and largely ignored until it was turned into royal palace in 1333. 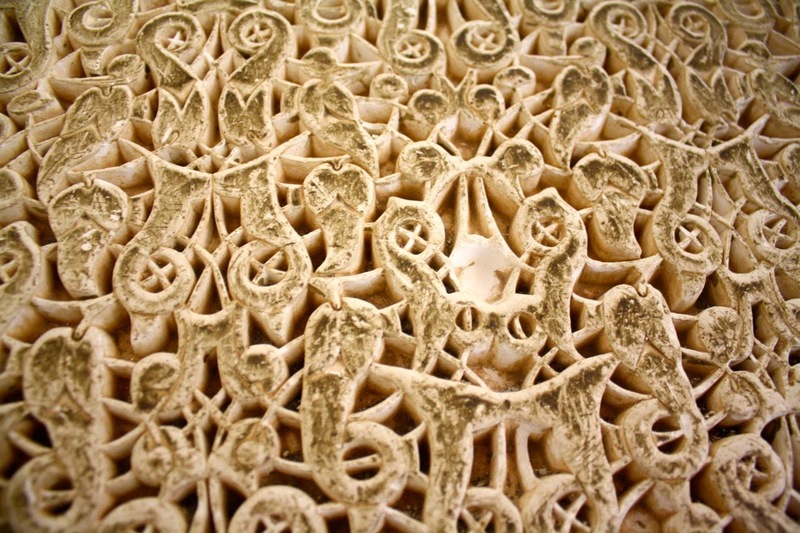 Most of the detailing in the Alhambra is made from a material called “stucco”, which is like a plaster. Rough, ugly surfaces were covered with this material, sculpted and painted to make them look rich and finished – clever stuff! Impressive stucco detailing in the Alhambra. 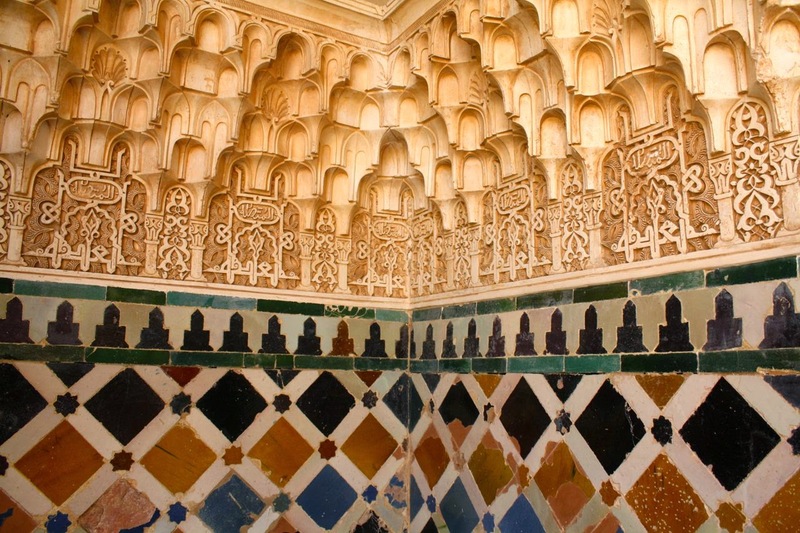 Stucco detailing plays a huge part in the beauty of the Alhambra. IT'S JUST REALLY PRETTY OKAY. 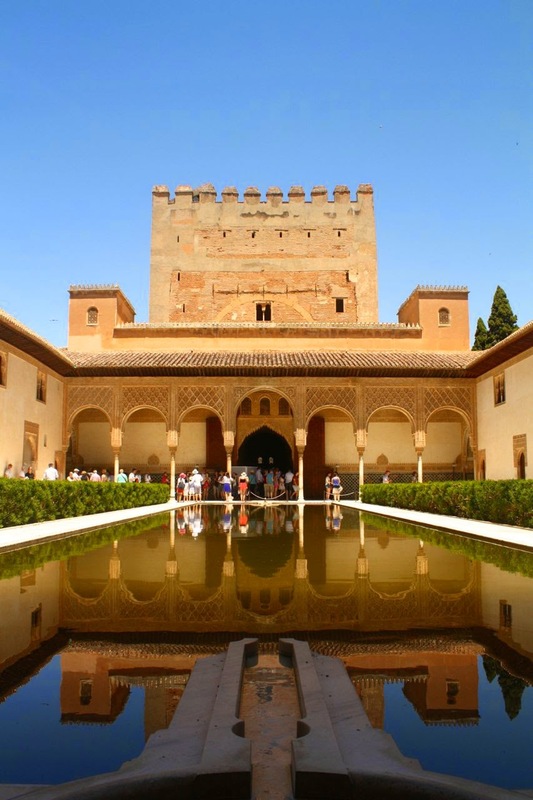 The Alhambra became the residence of royalty in Granada. 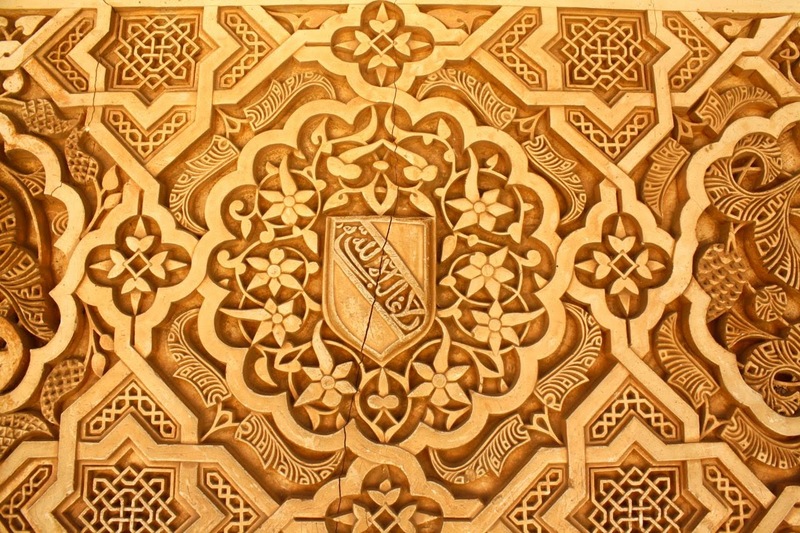 The Nasrid Palaces are where the Nasrid kings and their families lived and they are, in my opinion, the most breathtaking part of the Alhambra because of their beautiful construction and decoration. 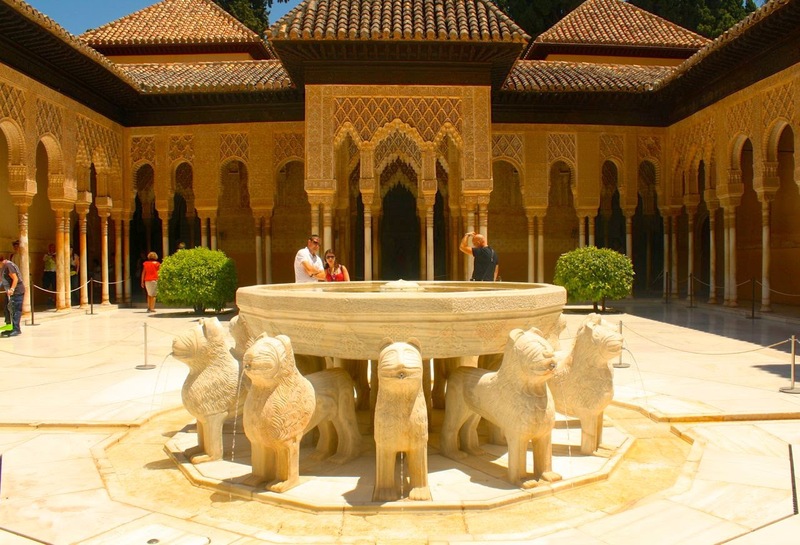 Three palaces make up the complex – The Mexuar, Comares Palace and the Palace of the Lions. Comares Palace inside the Nasrid Palaces complex. Palace of the Lions inside the Nasrid Palaces complex. 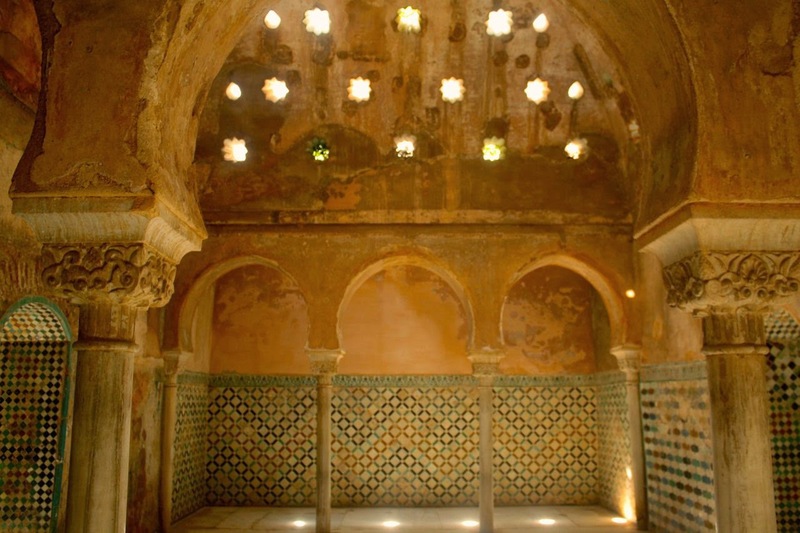 One of the bathing rooms inside the Nasrid Palaces complex. The Generalife is an independent palace and gardens opposite the Alhambra, which is where the kings went to retreat and relax. For this very reason, they made it as delightful as possible. The gardens are huge and so stunningly symmetrical! 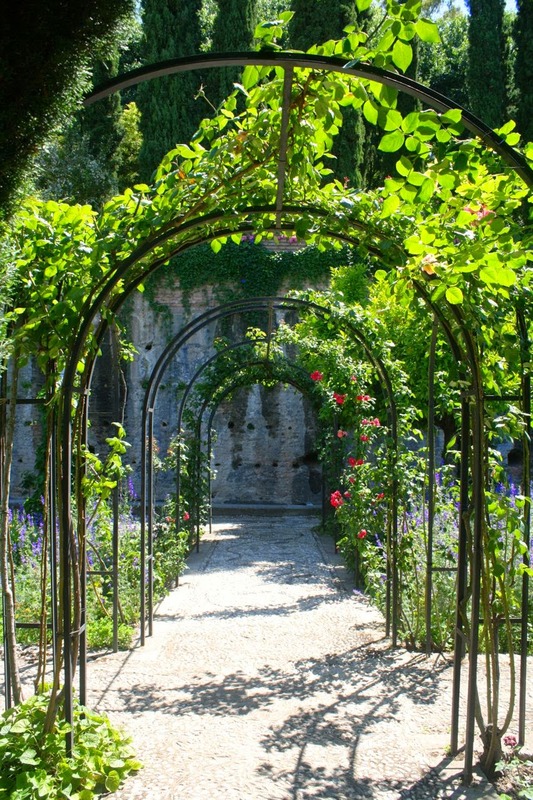 Nowadays, there are various concerts and events in the Generalife gardens as it is such a unique, special setting. 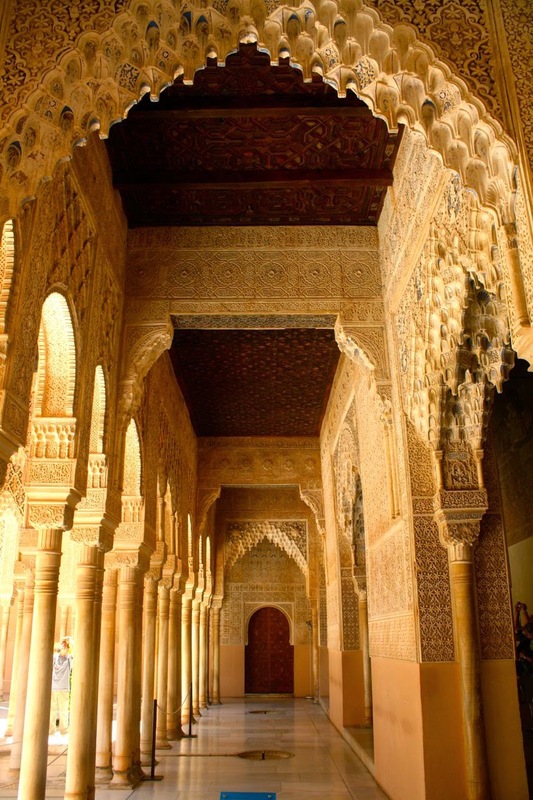 Shout out to the fantastic book, “Granada and the Alhambra” – Ediciones Miguel Sánchez, which taught me a lot about the history and meaning of the Alhambra. It was a gift from my host family when I first arrived and I found it so, so interesting to read. If you want to know more about the Alhambra and Granada in general, I would highly recommend reading this baby! 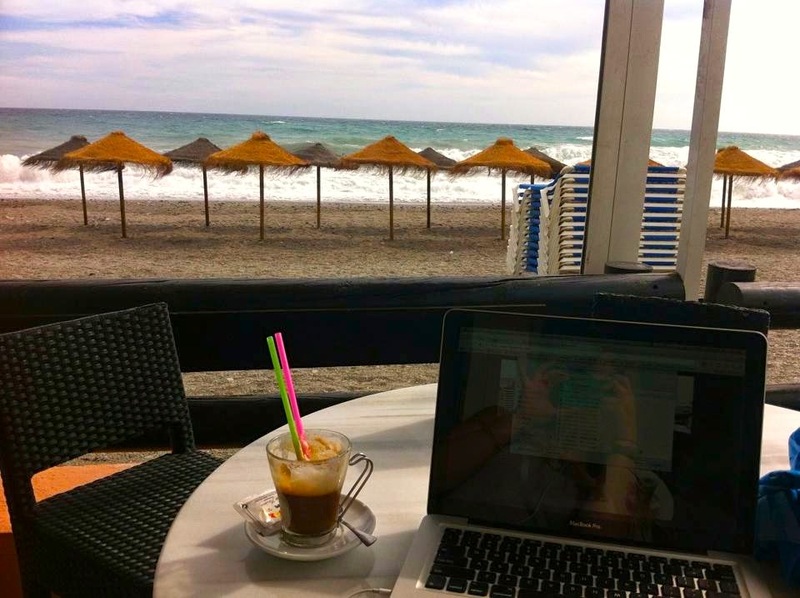 Once again thanks so much for reading my blog, the next post will be all about Granada’s little gems – cafés and bars.